Unique! 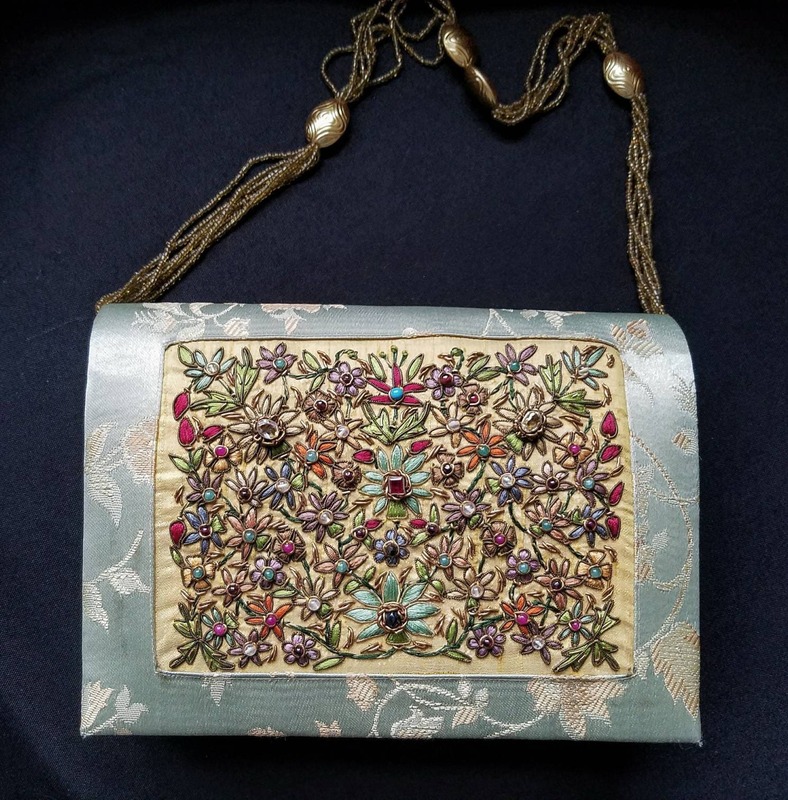 One of a kind vintage hand embroidered and hand crafted handbag. 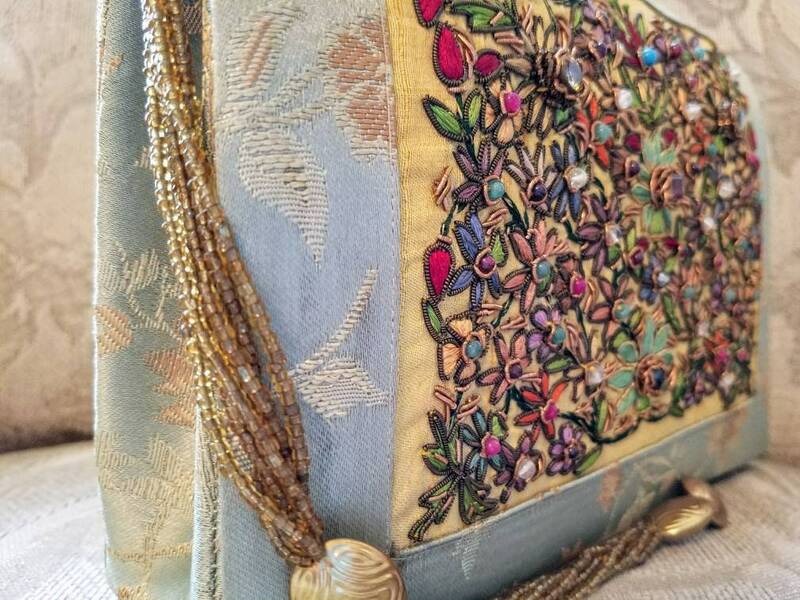 Hand embroidered flowers using silk and metallic gold colored threads, with a mix of real semi precious stones and synthetic stones, in the zardozi tradition. 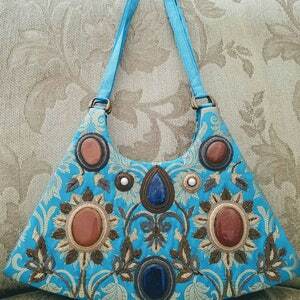 Stones are sewn in. 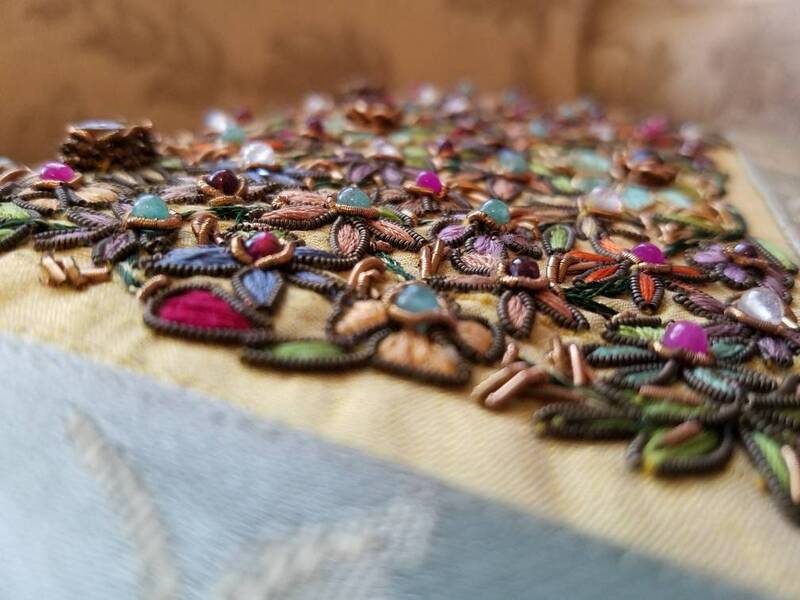 The word Zardozi is from the Persian and means "gold thread" . 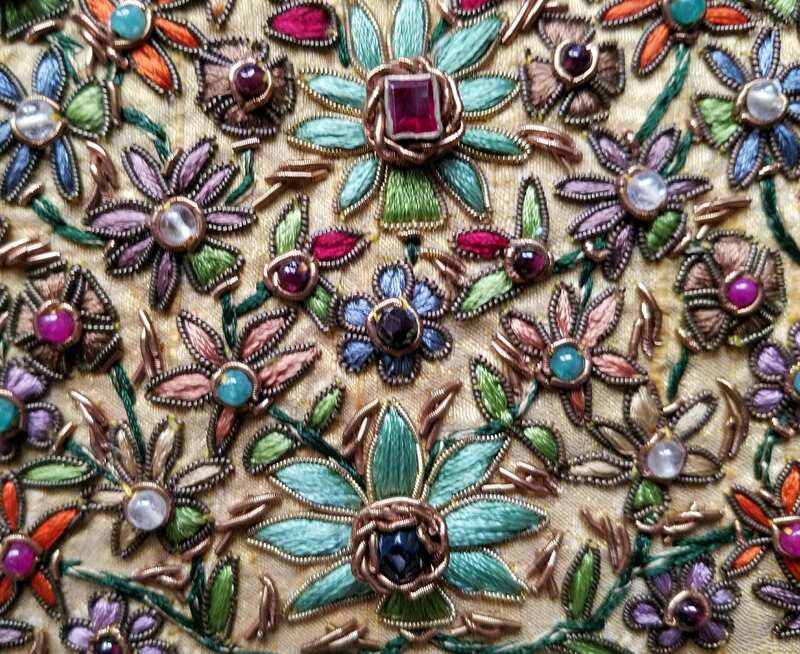 It is an elaborate art of multidimensional embroidery using gold and silver threads and embellished with precious stones. Zardozi had its origins in Persia and was introduced into India by the ruling Mughals in the early 16th century. 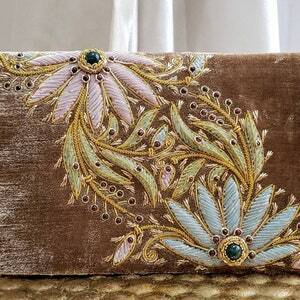 It was used mainly to adorn the robes of the royal families. 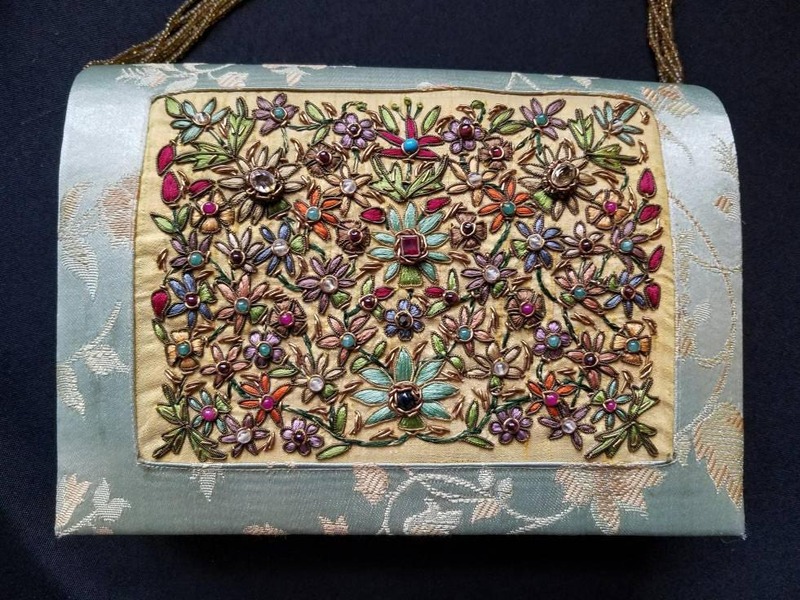 The city of Agra, home of the Taj Mahal, was the seat of the Mughal Empire and it remains a center for traditional handicrafts that had flourished under the Mughal patronage. 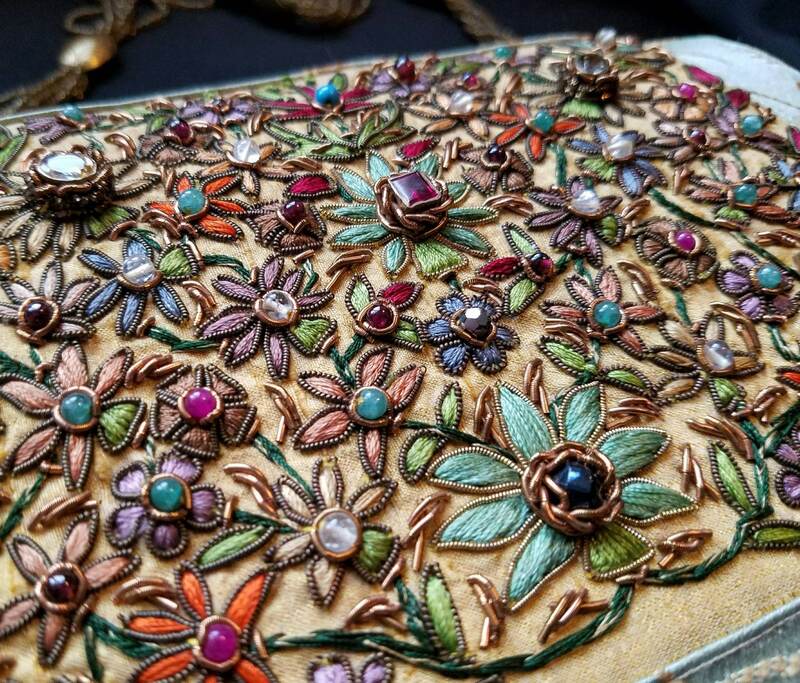 Today, over 15,000 craftsmen still practice the craft in the city of Agra, making elaborate zardozi purses, belts, tapestries, jewelry boxes and garments. 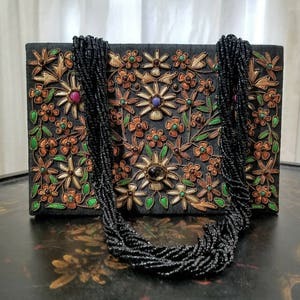 Stunning and unique evening bag! 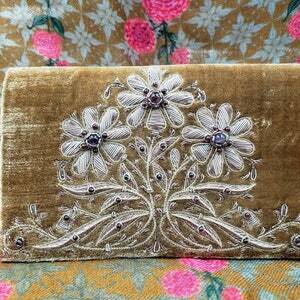 On a beautiful aquamarine/pale blue/green brocade patterned background. The purse just glows! 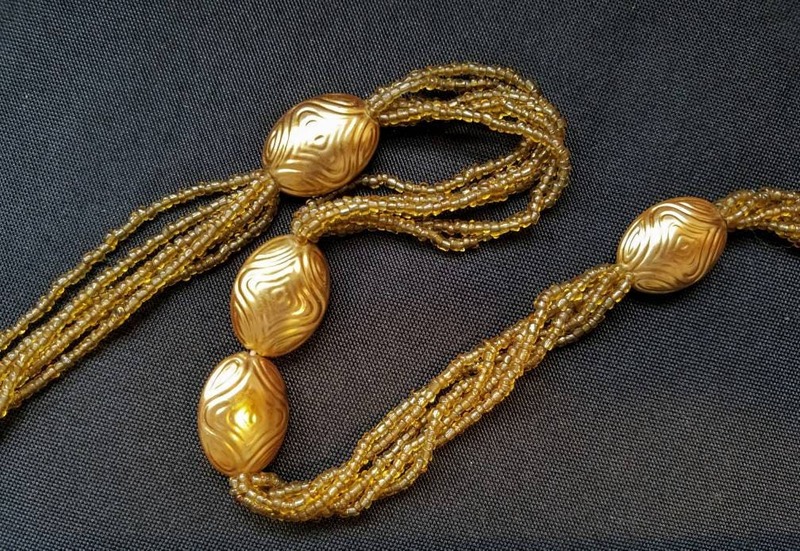 Very pretty twisted gold colored beaded top handle, like a necklace. 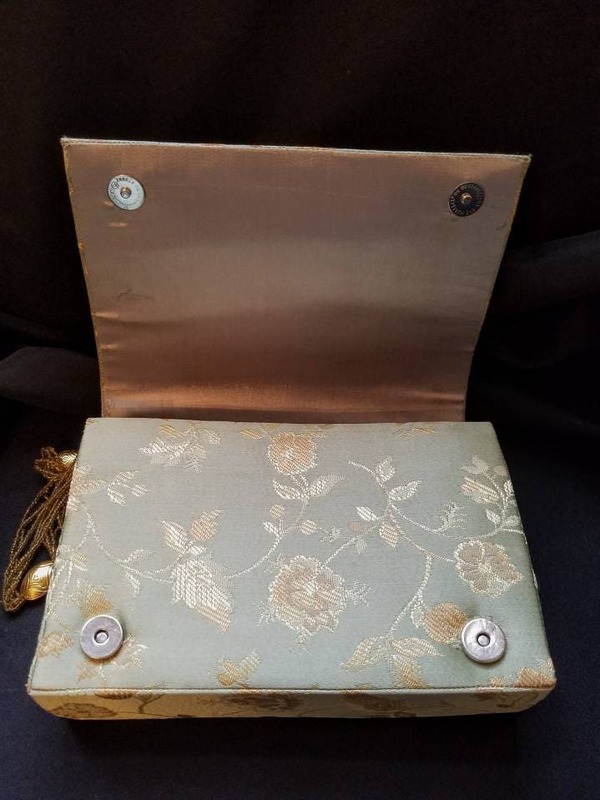 Two magnetic snap closures. 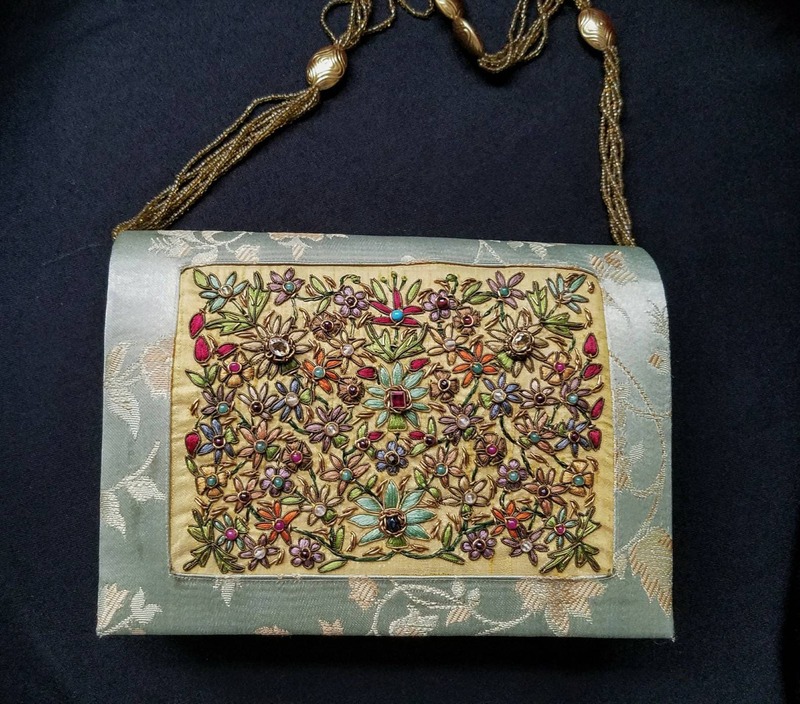 Fully lined in lustrous fabric, with one zippered compartment. 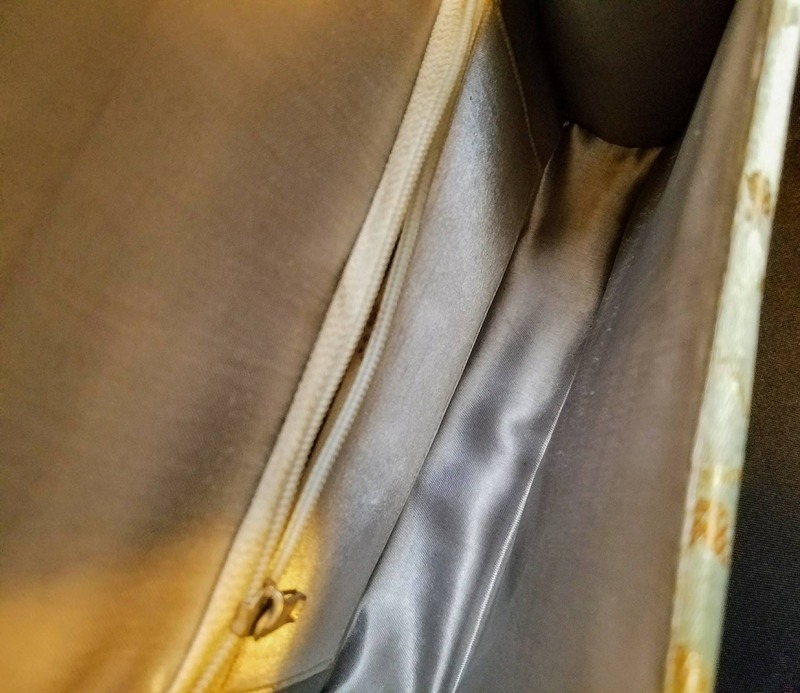 There is a slight discoloration along the front right bottom, but it is not a stain, it is a variation in the fabric.